Q. We stained and sealed our concrete floor in our new house. I think we did this too soon, and the floor has been scuffed, scratched, and spotted during the building process. What is the process to re-seal the floor? A. To reseal a concrete floor all you have to do is vacuum and wash the floor. Use 2 OZ of white vinegar mixed with 1 gallon of water. Mop and scrub the floor, rinse and vacuum the water up. Let the floor dry for 24 hrs then apply the same sealer you used before. Here are some tips to maintain your new stained floor. Your Custom Interior Floor may last a lifetime if properly maintained. Plastic glides, Felt Pads or Magic Movers should be affixed to heavy furnishings or those which will move frequently. Use the same precautions you would use for a Hard Wood Floor. A Door Mat at the outside (Hemp or Rope style) and inside entrance (one with a solid backing that can be shook off outside) of a home will pick up over 85% of the dirt that would otherwise be tracked inside. One important thing to mention about your walk-off mat is how to choose one. For the first month, an open-back mat such as a carpet remnant should be used while the sealer/finish cures. Plastic-backed products should NOT be used for your mats. An acrylic or plastic backed mat can cause discoloration under and around the mat. This phenomenon is called Plasticizer Migration. This is caused when a plasticizer in a floor mat or floor material transfers itself (migrates) into the floor finish or sealer. A Plasticizer is an ingredient of a floor finish (or flooring/mat product) that makes it more flexible and less brittle. This is accomplished with an additive which reduces intermolecular forces in the polymers. Since the intermolecular forces are reduced, the molecules in the Plastic mat surface next to your floor will actually want to bond with the molecules in the sealer MORE than the sealer bonds to the concrete. Then when you pull up the mat, you may be tearing up part of your sealer. If a solid backed mat is used, it should be a mat with a backing of 100% Rubber material. 1. Dust mop the floor in one continuous movement without lifting the mop off the floor. Overlap your stroke on each pass (you can also vacuum). 2. Clean the dust mop after each use by shaking it outdoors, brushing it with a brush over a garbage can, or vacuuming it. 3. NEVER use a "Swiffer Wet-Jet" type of cleaning tool. The liquid in these devices contain trace amounts of Solvent material. The Solvent will not harm the sealer but will cause the wax to egg-shell. Also, you should not use Ammonia, Bleach or Pine Sol. 1. Damp mopping with cool water and a neutral ph cleaner extends the floor finish life. It will not dull the finish and will enhance the gloss retention. 2. Follow the recommended dilution rates on label directions. 3. The mop should be wrung out tightly so that it is just damp. Do not allow the cleaning solution to puddle. 4. NEVER use a "Swiffer" type of cleaning tool. I know this is a repeat from above but I must state this again. The liquid in these devices contain trace amounts of Solvent material. The Solvent will not harm the sealer but will cause the wax to egg-shell. Also, no Amonia, Bleach or Pine Sol. Waxing - Wax is the sacrificial coating to protect the sealer and bear the brunt of the scuff and scratches. Use a 20% minimum solids wax. No Mop-n-Glo or similar wax should be used. 1. How often you need to re-wax depends on the abuse you, your children or pets put on the floor. It varies by owner and may be anywhere from every 3 months to every year. 2. Use a looped-end Rayon mop -- synthetics release material cotton absorbs -- or a Lambs Wool Applicator. 3. Pour a dinner-plate sized puddle on the floor and spread it evenly and thinly. Spread the material across the surface and let it dry for 1 hour. You are now ready for foot traffic again. 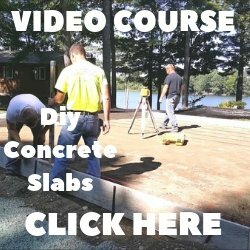 Do I have to seal the concrete floor in my home? Q. I am thinking of pulling up the carpet and linoleum in my home because of the wear and tear. 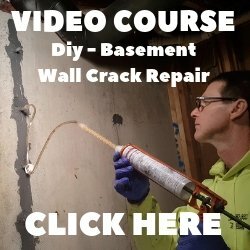 I was wondering if I have to seal the concrete underneath and if so how long can I wait until I do have to seal it? A. That depends what you plan to do with the concrete after you remove the carpet & linoleum. If you plan to leave the concrete as the finished surface or go over it with a floating floor (pergo), then Yes, it would be a good idea to seal it. If you plan to go over the concrete with another flooring material that needs to bond to the surface (tile), then no, leave it unsealed. Once you pull up the carpet & linoleum, you'll have glue to remove from the surface of the concrete and tack strips that usually leave small divots in the surface of the concrete floor. When a customer of ours wants the concrete floor as the finished surface after removing carpet and/or linoleum. We either polish the concrete (after repairing the divots) or apply a micro-topping and stain & seal the concrete. Both look great and are very low maintenance.